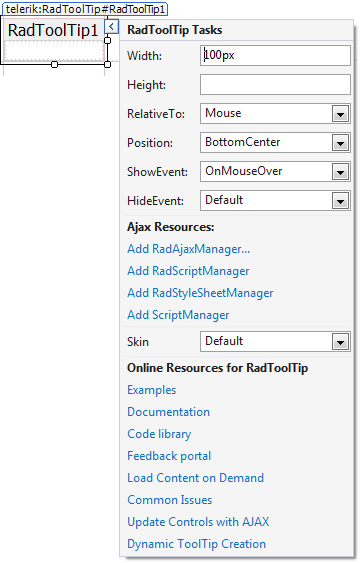 The Smart Tags for RadToolTip and RadToolTipManager are identical. They all let you easily change the skin for your control or quickly get help. You can display the Smart Tag by right clicking on a RadToolTip and RadToolTipManager control and choosing "Show Smart Tag", or clicking the small rightward-pointing arrow located in the upper right corner of the control.